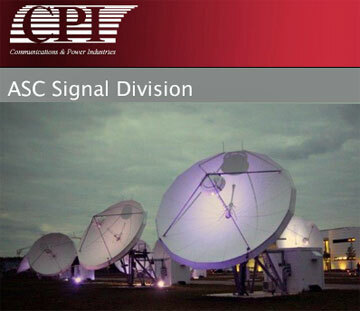 Keith Buckley, the President of the ASC Signal Division of Communications & Power Industries LLC (CPI), has accepted an invitation to speak on the topic of market diversification and niche market development at the SATELLITE 2017 conference on March 7, 2017 in Washington, D.C.
Mr. Buckley will join executives from teleport operators worldwide during the World Teleport Association’s annual track of panels, called the “Ground Segment Forum.” Buckley will moderate a panel titled, “Diversify Your Markets or Drill Deep into Your Niche?” The session will start at 11:30 a.m. The focus of the panel will be on how leaders need to respond to shifting markets and technologies. Keith Buckley, the President of the ASC Signal Division of Communications & Power Industries LLC (CPI). During the panel discussion, case studies from business leaders will illuminate possible choices and outcomes of this challenge. Confirmed session participants include James Trevelyan from Arqiva Broadcast & Media, Marzio Laurenti of Telespazio Brazil and Koby Zontag from PCCW Global. The panel will be followed by the annual World Teleport Association Awards for Excellence, now in its 21st year. CPI ASC Signal Division is a sponsor of the high-profile luncheon during the SATELLITE 2017 conference. Several CPI divisions will be attending the SATELLITE 2017 conference.